WOLCOTT — Someone discarded 145 living pigeons this winter the way one throws out an empty disposable coffee cup — by tossing them into a trash dumpster. The night caretaker at the northbound Interstate 65 rest area in White County found the first 57 birds in the middle of December as he took the trash out, said Kim Hoover of the Hoots to Howls Wildlife Rehabilitation Center in rural Pulaski County. Some of the birds trapped inside boxes died, she said. She took the birds and found homes for most of them, keeping the blind and crippled birds at the rehabilitation center. Then on Feb. 28, the caretaker found more boxes of birds in the same dumpster at the same rest area. “Same mozzarella cheese boxes. Same person’s name and number on the leg ban,” she said. The first group of birds found were standing in feces that were caked to their feet and matted in their feathers, Hoover said. It appeared they’d been in the dumpster for a while and were in poor health. 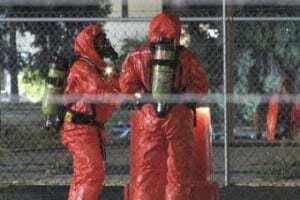 The second group was found in better condition and did not have trash piled on top of the boxes, indicating that they had not been in the dumpster that long, Hoover said. That person’s name on the leg band is Bahman Ghassab from Dublin, Ohio, Hoover said. The bands also had a telephone number to reach Ghassab. The Journal & Courier called that number on Wednesday, but it is no longer a working number. But after the find in December, Hoover said one of her associates did call the number, and Ghassab answered. “He said he sold some birds to someone in Florida and in Illinois,” Hoover said, “and he would not give any more info than that. “When asked why would you sell sick starving and injured pigeons and better yet why would someone buy them in this condition, the conversation ended,” Hoover said. The Journal & Courier contacted John DeCarlo Jr., president of the National Pigeon Association. He checked the association’s membership list, and Ghassab is not a member. “These birds don’t fly,” Hoover said. The Journal & Courier texted photos of the birds to DeCarlo, who is in California. “I don’t know why they don’t fly,” he said, noting this particular breed of pigeon is the Iranian high fliers. The Iranian high fliers are capable of flight, unlike the one particular breed that Hoover mistakenly was told the rescued birds belonged to, DeCarlo said. The birds might not fly because they are sick or are under fed or are under conditioned, DeCarlo said. Or they might have been altered so they can’t fly, he added. Someone told Hoover the birds were likely part of an illegal gambling ring, but that doesn’t seem likely, according to DeCarlo. The only gambling in the pigeon hobby is among racing pigeons, and these are not racing pigeons, he said. The flightless pigeon breed is known as parlor rollers. They have been genetically bred not to fly, and when they are nervous or excited, they roll, Decarlo said. 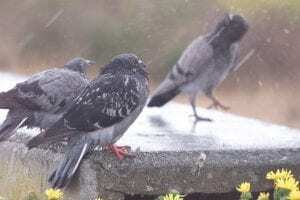 There is a competition among parlor rollers to see whose bird can roll the furthest, but it’s not cruel because this is the natural way these birds behave, according to several pigeon experts interviewed Wednesday by the Journal & Courier. Everyone interviewed Wednesday was incensed by the way these birds were discarded. Hoover said no one seems interested in investigating it as a criminal case. “From what I’m told, they’re not pets; they’re not farm animals, so nobody does anything,” she said. National Pigeon Association Secretary/Treasurer Tim Heidrich of Georgia doesn’t see why it couldn’t be prosecuted. DeCarlo suggested giving unwanted pigeons to 4Hers so they can learn the hobby and show them. Finding so many birds thrown away begs the question of whether other birds met with a similar fate only went undiscovered at other locations. “We don’t know if this is the first time,” Hoover said. 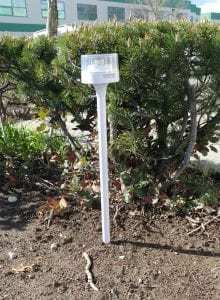 “Is it happening at other rest parks? We don’t know. Further efforts are being made to overcome problems being caused by pigeons at Berwick town hall. Berwick Corporation (Freemen) Trustees has already carried out works on the Grade 1 listed building to prevent the birds nesting and roosting. Now, it has submitted an application for listed building consent for the installation of UV stabilised polycarbonate anti-pigeon roosting spikes on two blocked up windows openings. 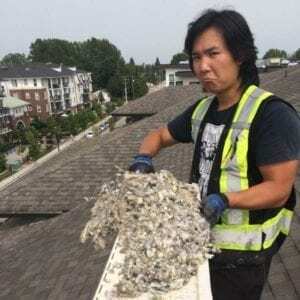 A report with the application states: ‘There has been a significant problem around the northern and eastern elevations with pigeons on the second floor and first floor windows. This is causing damage to the masonry of the building and creating a public health hazard below. There are two infilled window openings which are now being used by pigeons.’ Berwick Town Council planning committee has made no objection. A heartbroken owner’s prized racing pigeons were burned alive when the cage they were kept in went up in flames. 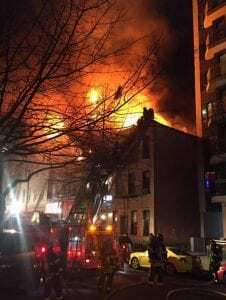 The turn of the new year brought devastation for Liam Hope when his beloved birds were incinerated in a blaze at his loft on Benton Road, West Allotment. The 28-year-old car valet from North Shields was immensely fond of his pigeons – keeping some as pets – and described them as his “whole life”. He told ChronicleLive: “I’m absolutely gutted, these pigeons were my whole life and I would visit them most days after work. “I’ve been around them since I was born, my dad, granddad and great-granddad all raced pigeons too. The fire broke out in the early hours of New Year’s Day and neighbours in West Allotment alerted Liam to the blaze. But by the time emergency services arrived it was too late and the 110 pigeons inside the cage were dead. Liam raced the birds with his partners 81-year-old Brian Morris, who has owned the same loft for 50 years, and 65-year-old Colin Spillard. The trio recently spent £2,500 on some new birds, which can cost up to £500 each. “It’s going to cost a fortune to replace”, Liam said. Despite the grief and weighty financial damage, Liam is confident that his pigeon racing career is not over and said that he will rebuild his successful team from scratch. He has launched a GoFundMe campaign to help pay for the costs of building a new loft which has already gathered £585 in donations. Liam’s specialist racing birds won five events last year and were kept on a protein-heavy diet but loaded with carbohydrates before they set off on the 800-mile round trip to France and back for competitions. After extinguishing the blaze, the fire department’s investigation found there had been “no malicious ignition” and the flames must have started internally. But Liam contests this and claims to have CCTV footage, that has not yet been seen by police, which shows a man torching the loft. He said: “The camera’s not great but you can see a kid walk up to it and try to set it on fire. A spokesperson for Northumbria Police said: “Police received a report from two officers of a fire at an allotment on Benton Road, West Allotment on New Year’s Day. “The report was made at about 1.20am when officers reported a fire in a pigeon loft. “The fire service attended to extinguish the fire and it is believed all the pigeons died in the blaze. They said that a trawl of nearby CCTV had been carried out in the aftermath of the fire but nothing suspicious was found. Police are investigating the discovery of several dead birds in a park in Tokyo’s Kita Ward. At around noon on Jan 13, four pigeons and five sparrows were found dead in Kamiya Park, Fuji TV reported. The birds had no external injuries and there were remnants of rice grain scattered nearby, leading police to suspect that the birds may have been poisoned. 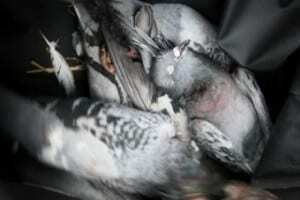 In October last year, 18 pigeons that had eaten corn dipped in agricultural chemicals were found dead in Akabane Park. Similar incidents of other birds and feral cats being poisoned have also been reported in the area. Police said whoever is responsible faces charges for violation of the Wildlife Protection Law. Gyanoday Primary School had shut in 2012 and is now home to two buffaloes. One can also find pigeons fluttering to a pigeonhole but not students, teachers, desk and blackboards. Who let the buffaloes in? The answer is clear in Gopaldhara-Rangbhang valley: successive politicians who ruled the hills but dragged their feet to put in place a proper education system. The school, 7km from here, was established in 1995 by the Subash Ghisingh-headed Darjeeling Gorkha Hill Council (DGHC). The school started with no permanent teachers. Four volunteers used to teach the 45-odd students. “I have a family to support. How long can one carry without salaries?” asked Aswain Thami, a former volunteer teacher. One of his colleagues joined Gopaldhura tea garden office, while two lady volunteers preferred to be permanent homemakers. Thami landed a civic police job in 2014. Local people made submissions to not only Ghisingh but also Bimal Gurung when he was heading the Gorkhaland Territorial Administration. They have recently taken up the matter with local Gorkha Janmukti Morcha leaders who are now with Binay Tamang, the GTA head. “We have been told that our grievances will be redressed soon,” said Suman Yolmo, a managing committee member. “If at least one permanent teacher is appointed, the school would still be functional,” rued Thami. Primary school teacher’s examination was last held in 2001 and the appointment letters were released the following year. Amar Singh Rai, GTA (education in-charge), admitted that primary and secondary education system was in “a mess” in the hills. “There has to be a proper recruitment system,” said Rai. The School Service Commission has been defunct in the hills since 2003. Ghisingh opposed the commission demanding that its power be transferred to the DGHC. “There are vacancies of 652 primary teachers now. For some reason, the earlier GTA did not pursue this issue but the state government has asked us to submit rules for appointing the teachers,” said Rai. “The rules have been submitted. Once the matter related to the 652 teachers is taken care of, we will have to put in place a proper system,” said Rai. “The school building has developed cracks and needs repaired,” said Yolmo. Less than 50ft away stands a glittering three-storied “guest house” that was patronised both by Ghisingh and Gurung. The buzz is that Rs 74 lakh was spent on the “guest house”. Till date, no guests have arrived. It’s a solace for the school which has no students. Around 25,000 pigeon fanciers will be flocking to the Winter Gardens this weekend when the annual British Homing World Show returns to the town. The event, now in its 47th year, has been coming to the resort for 41 years and is worth an estimated £2.5 million to the Blackpool economy. Over the two-day event, there will be over 100 trade stands, charity pigeon auctions, raffles for new lofts and the showing and judging of over 2,000 of the top homing pigeons in the country. It all takes place on Saturday and Sunday. Ian Evans, CEO of organisers the Royal Pigeon Racing Association (RPRA), said: “Pigeon racing is not simply just a hobby for the fancying community. 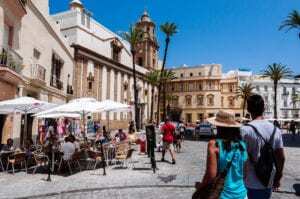 “For many, the past time helps people to stay active and social. “The population of pigeon fanciers is made up of those from all different backgrounds and the event is a great chance for our members to catch up.” READ MORE: Pigeon fanatics migrated to Blackpool’s Empress Ballroom for The British Homing World Show of the Year He said the event in Blackpool was also an opportunity for the RPRA to launch its junior membership scheme to encourage the younger generation to keep our pastime thriving. The BBC’s national security correspondent Gordon Corera will also be signing his book, ‘The Secret Pigeon Service’ at the event. The book is based on a story about the 16,000 homing pigeons which were dropped in an arc from Bordeaux to Copenhagen as part of ‘Columba’ – a secret British operation to bring back intelligence from those living under Nazi occupation. The event’s £2.5m injection into the Blackpool economy is based on the trade it brings in for hotels, restaurants, taxis and other businesses at a time of year when the town would otherwise be quiet. On April 16, 1919, the troop transport Ohioan docked at Hoboken, New Jersey. Among the various disembarking members of the American Expeditionary Forces was a small detachment of 21 men of the U.S. Army Signal Corp’s Pigeon Service Company No. 1. Pier-side newspaper reporters flocked around the officer in charge, Capt. John L. Carney, to ask about the exploits of the distinguished hero pigeons the Army chose to bring home. Foremost among the latter was an English-bred black check hen named Cher Ami. As Carney told the story, it was Cher Ami who on October 4, 1918 braved shot and shell to deliver a message from the besieged men of a composite force surrounded in the Charlevaux Ravine of the Argonne Forest, forever known as “The Lost Battalion.” Cher Ami arrived at her loft with the intact message from the force’s commander, Maj. Charles W. Whittlesey, albeit minus a right leg and with a wound clear across the chest cutting through the breast bone. Cher Ami survived her injuries and Whittlesey’s message provided the exact position of his force back to the regimental and divisional headquarters, information which contributed to the eventual relief of the men. Cher Ami’s story remains legendary to this day, a testament to the bravery of animals in war. The story, although the records are uncertain if Cher Ami or another pigeon delivered Whittlesey’s message, often obscures the purposes underlying the use of homing pigeons by the U.S. Army. From 1917 to 1957, the Signal Corps maintained pigeon breeding and training facilities, and birds saw service in World War II and Korea. 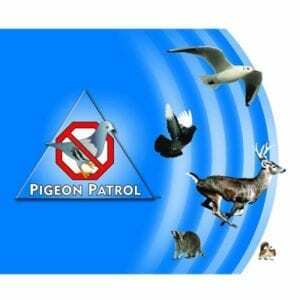 When the pigeon service disbanded in 1957, the Army contended that advances in electronic communications rendered the peacetime maintenance of pigeon breeding and training facilities unnecessary. The remaining pigeons were sold at auction, with a select few being donated to zoos around the nation. Today the use of homing pigeons is viewed as novelty, a quirky vignette of the early 20th century battlefield. Over 60 years later, the military homing pigeon warrants reexamination. The electromagnetic spectrum’s influence extends throughout the systems and operations of the battlespace into the fabric of civil society. Offensive and defensive operations in the cyber space realm, combined with kinetic strikes on air, land, sea, or space-based infrastructure, could potentially disable or severely damage entire communication or power grids. Adversaries with electronic warfare dominance would then be positioned to control the battlespace and restrict the options presented to American or allied commanders. Reflecting on electronic warfare’s potential, some communications between the front lines of the battlefield and rear echelon command and control elements may need to rest on the legs or back of a feathered messenger when a human runner or more visible vehicle or aircraft may prove too vulnerable to interception or destruction. In an era where military innovation may conjure up thoughts about futuristic weapons and high-dollar research, development, and acquisition, perhaps consider an innovation redux: the homing pigeon. A brief examination of the American military experience with homing pigeons offers insights into both the utility of the birds and their advantages in the modern electronic warfare battlespace. 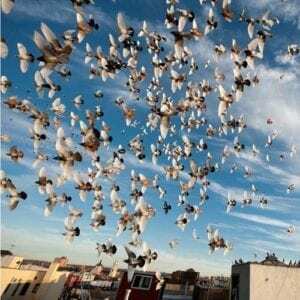 Homing pigeons are relatives of the rock dove, Columba livia, which frequently conduct seize and hold or tactical air strikes on urban residents and residences worldwide. Homing pigeons, however, are more akin to race horses, carefully bred and nursed to maximize speed, endurance, and navigational prowess. As with race horses, loft owners do not shy from spending $1,000s to 100s of $1,000s for champion pigeons in hopes of breeding future generations of race success. 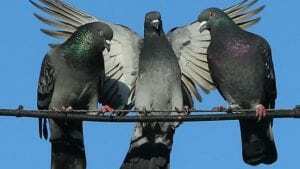 The exact science is unclear, but theories postulate as to how the pigeons navigate, returning to their home lofts either through visual, magnetorepton, or olfactory means. The distances flown by homing pigeons can vary from 10s to over a 1,000 miles over unfamiliar terrain or open water, at speeds from 60 to over 90 miles per hour. A pigeon can sustain grievous injury in flight and continue on its journey home, as was the case with Cher Ami and other military pigeons in both world wars. The use of pigeons for military purposes extends back centuries, but World War I introduced widespread battlefield use of the birds by both the Central and Entente powers Previously, pigeons saw use in the 1800s primarily in journalism, with military use only rekindled in the Franco-Prussian War during the Siege of Paris. 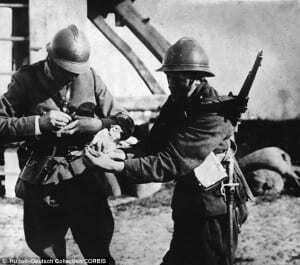 Following American entry into World War I, French and British officials championed the value of homing pigeons after the experiences at Verdun and the Somme. In trench warfare, where artillery bombardments turned carefully laid telephone lines into confetti, pigeons proved the only reliable means of communication between the front trenches and the artillery and command elements in the rear. Neither bombardment, dust, smoke, poison gas, or fog grounded the feathered messengers. For the British at the Somme, pigeon liaison was “always . . . able to operate regularly. In many cases it was the only one which was able to resist the weather and the means of destruction of the enemy.” Thereafter, the Army Signal Corps wasted little time in establishing a pigeon service in July 1917, utilizing Allied experience with a proven technology to address communication issues. Work continued to refine and improve wired and wireless communication systems for the battlefield, but off-the-shelf pigeon technology ensured the men of the American Expeditionary Forces would not be caught ill-prepared in a communication blackout when electronic means or runners fell to enemy fire. 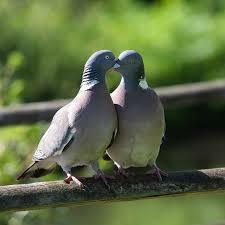 Pigeons demonstrated reliability as messengers and the ability for usage with a variety of forces. In World War I, the Signal Corps reported an overall message delivery rate of 95 percent. In 1944, the Army reported pigeon-delivered tactical message rates at 99 percent. After success with combat operations in Europe in World War I, the U.S. military employed pigeons in the Pacific, Europe, and North Africa in the second war. Messages evolved from small pieces of rice paper to sections of map grids to eventual exposed photographic film. In World War I, pigeons served in the Tank Corps, Air Service, and with naval aviation. In World War II, pigeons served everywhere with everyone. They took part in Operation Overlord with paratroopers in the 101st and 82nd Airborne Divisions, and were carried up the cliffs at Pointe du Hoc with the Rangers in special containers. Other birds parachuted into Burma with members of the Office of Strategic Services, carrying messages behind enemy lines, while others found a home inside the confines of Sherman tanks. Thousands of birds found work aboard the heavy bombers of the Army Air Forces in raids over Europe. In the Italian campaign, pigeons proved invaluable in transmitting messages over rugged terrain to coordinate fire missions for aircraft or artillery. Much as pigeons can adapt and thrive in practically every environ on the planet, the same held true for military employment of the birds. Beginning in 1917 and continuing with World War II, the Army’s pigeon force drew from the civilian racing pigeon community. In 1917, the American Expeditionary Forces’ Pigeon Service tapped two founding members of the American Racing Pigeon Union — John L. Carney and David C. Buscall — to receive direct commissions as first lieutenants to build up the pigeon force from scratch. Both men, coincidentally current or former non-commissioned officers in the Army and Marine Corps, respectively, brought with them the highly specialized knowledge and background required to acquire, train, breed, and distribute pigeons to forces in the field. Through their civilian contacts, the men acquired via purchase or donation large numbers of quality racing pigeons and helped recruit the non-commissioned officers necessary to staff and train pigeon handlers in Northern France. The necessity to build and field pigeons for the American Expeditionary Forces further demonstrated how the specialized nature of pigeon work put a premium on civilian pigeon knowledge within the ranks. Postwar, the Army continued the pattern of working closely with civilian organizations, such as the American Racing Pigeon Union, in recruiting men from the pigeon racing community. When the Army needed to rapidly expand the pigeon force in World War II, the civilian community responded with donations of tens of thousands of birds and even World War I “retread” volunteers for the officer and enlisted ranks to tend and train the pigeons. Never a large or overly expensive force, Army “pigeoneers” ensured communication continuity for the fighting men at the front, albeit always as a secondary or emergency method of transmission. Regardless of its size or lack of panache, the men of the Pigeon Service represent a solid example of a civil-military partnership able to respond to a wartime necessity in an orderly, efficient fashion. For the contemporary challenges of cyberwarfare and electronic warfare, Army Futures Command should examine the record of the Army’s disbanded Pigeon Service. From the experience of the two world wars, the pigeon effort took off through partnership with civilian organizations. Akin to the Cyber Direct Commissioning Program, by recruiting and providing advanced grade to pigeon specialists for their civilian training, the Army staffed the officer and non-commissioned ranks with knowledge and skills essential for rapid expansion at minimum cost in training and the associated infrastructure therein. Furthermore, the connections of these citizen-soldiers further provided entre into acquiring quality homing pigeon stock from the civilian community for the Army with minimal delay. The ability to then “surge” a pigeon force became possible, in part to the small peacetime Pigeon Service then in existence. In the arena of technology, pigeons are decidedly mundane messengers yet proven and reliable. The use of off-the-shelf technology at a time of need in 1917 served the Army faithfully for half a century. A similar acquisition success is found in the Army’s “Big Five” acquisition. Col. David C. Trybula concludes that by incorporating mature or maturing technologies into the systems, the results proved “extraordinary and perhaps revolutionary” when compared to the systems being replaced. While not arguing that homing pigeon technology can replace the advanced communications technologies of today, there are advantages to contemplate in the electronic warfare environment. As the fighting in the Donbass region of Ukraine and in Syria have demonstrated, electromagnetic security can be a matter of life and death, of light and darkness. Through electronic warfare methods, Russian-backed separatist forces have caused an array of difficulties for Ukrainian forces. In the current fighting in Syria, American forces have likewise come face to face with Russian electronic warfare technologies and tactics, an electronic warfare battlefield-turned-proving ground for future conflicts. 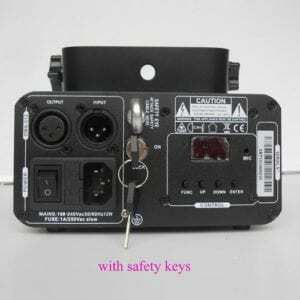 Monitoring, jamming, or infiltrating electronic-based systems to enable or deny kinetic effects places a premium on protecting signal communication. Pigeons are certainly no substitute for drones, but they provide a low-visibility option to relay information. 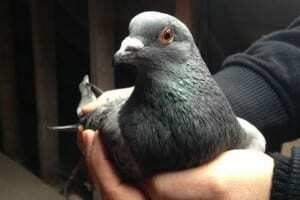 Considering the storage capacity of microSD memory cards, a pigeon’s organic characteristics provide front line forces a relatively clandestine mean to transport gigabytes of video, voice, or still imagery and documentation over considerable distance with zero electromagnetic emissions or obvious detectability to radar. These decidedly low-technology options prove difficult to detect and track. Pigeons cannot talk under interrogation, although they are not entirely immune to being held under suspicion of espionage. Within an urban environment, a pigeon has even greater potential to blend into the local avian population, further compounding detection. The latter presumably factored into the use of pigeons to clandestinely smuggle drugs, defeating even the most sophisticated of walls. Furthermore, pigeons provide an asymmetric tool available for hybrid warfare purposes. The low-cost, low-technology use of pigeons to transport information or potentially small amounts of chemical agents — or even coded cyber weapons — makes them a quick and easy asset to distribute among a civilian population for wider military purposes. During World War II, the British Confidential Pigeon Service of MI14(d) dropped baskets of homing pigeons behind enemy lines for espionage purposes, gathering invaluable military intelligence in the process from a wide array of French, Dutch, and Belgian civilians. Even as a one-way means of communication, the pigeon proved an invaluable military asset. The ideas herein are not claimed to be unique or refined. Military pigeon forces are all but extinct, but yet the Chinese People’s Liberation Army and French Ground Army maintain small pigeon forces in the event that electronic warfare should disrupt or disable military communications. As for the American military, the only traces of its pigeon force can be found in artifacts or photographs in museums around the country. The use of military homing pigeons in the 21st century in similar or more creative ways is limited only by initiative and imagination — a statement true for most any battlefield innovation and the disrupting potential of electronic warfare. You might be used to seeing birds clustered on courthouse domes, but for one area county, they’re becoming a real problem. 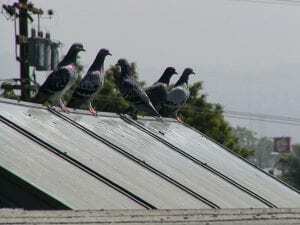 Upshur County officials say pigeons gathered on the courthouse windowsills and rooftops are doing significant damage because of their droppings. That matter is so acidic it could damage the courthouse roof and dome. Officials are now taking bids for measures to keep the birds off the building, and keep the historic structure intact. “There’s so much history behind the courthouse. It burned in 1899, I believe it was, and this is the facility that they built, and we’d like to keep it around as long as we can,” said Commissioner Terry Cutright. Bids for the project will be accepted until February 12, and the commission will open them at its meeting on the 14th. A pensioner who died in an early morning van crash in Maerdy was a “pillar of the community” who loved pigeon racing. Malcolm Morgan, 73, died when his Ford Transit van collided with a parked van on Oxford Street on Sunday morning. He was known locally at Popo and his family say his love of pigeons drove “his whole family crazy”. In a tribute released through South Wales Police, his devastated family said: “Malcolm was a loving husband, father and grandfather. He has always been a pillar of the community and was loved by so, so many. “Known as Popo to most, he never said no to anything. His love of pigeons drove his whole family crazy – he was the Morgan half of the ‘Newman and Morgan’ pigeon racing partnership, racing for Ynyshir club. Officers were called to Oxford Street shortly after 8.30am on Sunday after a white Ford Transit van being driven by Malcolm collided with a parked Iveco Daily van. Malcolm’s family are being supported by specially trained officers. I feel sorry for urban children. Most of them seem to lead normal lives, although what passes for “normal” nowadays often means being attached to a video game console immediately after emerging from the womb. Meanwhile, I’m still trying to figure out how to operate common household appliances. For example, I recently discovered that you cannot cook sliced bologna in a DVD player. This seems like the gross underutilization of a perfectly good laser. The main reason I pity town kids is that none seem to have access to the one resource that’s essential for a fulfilling and thrilling childhood: a barn. A barn is commonly thought of as a confinement facility for livestock. But it’s also one of the best places for kids to grow up under free-range conditions. A barn contains a universe of playtime opportunities; the only limit is a child’s imagination. When I was a mere youngling, our farm had a rickety old barn that was home to a menagerie of animals, ranging from the mighty (cows) to the lowly (pigs) to the clucky (chickens). And that doesn’t count the multitude of freeloaders such as cats and pigeons and sparrows and mice. That old barn sheltered more species than Noah’s ark. The barn contained its own unique ecosystem. Our cattle and pigs ate the grain that we fed them and we, in turn, dined on pork and beef. Mice and pigeons scavenged leftovers from the livestock and the cats, in turn, operated a booming business that focused on the acquisition of rodent- and avian-based proteins. We kids knew all about the circle of life long before anyone heard of the movie Lion King. The main rule of playing in the barn was that there were no rules. My seven siblings and I could do almost anything we liked as long as it didn’t involve getting hurt. “If you fall and break your neck, don’t come running to me!” was the only guidance we received from our parents as we trotted toward the barn. This lack of regulations was liberating. For instance, we were free to climb the barn’s wall ladder to whatever height we liked. If you were a smaller child, a rung or two might be enough. But if you were a testosterone-addled adolescent, the sky (in this case, the rafters) was the limit. Driven by juvenile bravado, I once climbed the ladder all the way to the top. Upon reaching the apex, I clambered onto the rafters and glanced earthward. A mistake. I had stared resolutely at the barn’s wall during my ascent. Looking down, I was able to see exactly how high I was. My younger siblings seemed tiny, as if they were little kids. Which they were, but they appeared so much smaller from up there. I realized that falling and breaking my neck wasn’t an option. Several dozen things would fracture if I fell. I decided to go for the holy grail. Ignoring years of pigeon residue, I crawled across the diagonal rafter braces until I reached the cupola. I had gazed up at that gothic wooden structure innumerable times. At last I would get to see it from the inside and enjoy a pigeon’s-eye view! A sweeping vista of our farmstead spread below me. The Holsteins in our cattle yard were pint-sized toys; our Leghorns looked like two-legged cotton balls. A passing cloud seemed close enough to touch. Peering downwards, I could see the entirety of the barn’s yawning interior: the kingdom of cows and cats. The game Hide and Seek was invented in our barn. As soon as we noticed that a mother cat had transformed from a furry cantaloupe into a four-legged stick figure, the game was afoot. Whoever found the new litter of kittens was awarded naming rights. We were lightyears ahead of modern-day corporations who expend vast sums for the privilege of slapping their names on impersonal, non-purring sporting venues. Our Leghorns also liked to hide things. It was our mission to find the clutches of eggs that the hens had concealed throughout the barn’s labyrinthine nooks and crannies. Now if you’ll excuse me, I need to investigate something. Because I’m pretty sure that a guy can cook bacon in a document scanner. A reptile-themed magic act? Decoration tips of the 1980s? Snake handling on public display? Would you believe pest control? What we are looking at is Warren County Commissioner Bobby Johnson on a clear day in September 1988 demonstrating his community’s effort to frighten pigeons from the county courthouse. 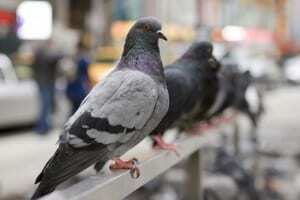 Pigeons have a tendency to use such public buildings as regular roosts and restrooms, and they leave a mess. This was not a new problem. The archives of The Augusta Chronicle make a consistent case that birds, most often pigeons, had been the plague of many seats of local government over the past century. As this photo indicates, such problems often inspired remarkable measures. Here, for example, plastic snakes were attached to the building’s columns to scare away the birds. “Bird shoots” aimed at solving the problem seem to have been regular events around Georgia courthouses even into recent times. The Chronicle reported such an event in suburban Atlanta’s Gwinnett County in 1974. 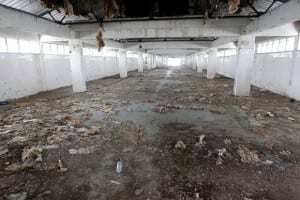 Its sheriff told The Associated Press that several men firing shotguns over several hours had bagged about 80 birds. Fortson was something of a bird removal expert because he had spent years trying to rid Georgia’s gold-domed state Capitol of starlings, a smaller but more numerous winged nemesis. Fortson said they tried to use guns, but state-sanctioned marksmen were overwhelmed. There were too many birds and firepower wasn’t working. Fortson rattled their roosts with Roman candles. The birds departed and did not return, he said. But pigeons seemed more pervasive. In 1970, The Chronicle reported on pigeon problems plaguing several county seats – Sparta, Washington, Thomson and Madison. Shotguns were usually reached for to solve the problem. Warren County’s inflatable plastic snakes were only marginally successful in 1988, according to county officials. The same was reported in Sylvania, where Screven County workers were trying to trap the pigeons but found that working the traps was time-consuming. Taliaferro County might have had the best solution by letting nature take its course. Screech owls had taken up housekeeping in the county seat of Crawfordville and kept the pigeons away from the courthouse. The screech owls also weren’t as messy as the pigeons. “I let ’em come and go,” a county commissioner said. In an appalling incident, a 70-year-old was beaten to death in Maharashtra’s Vasai on Friday night. Police have arrested nine people in this case. The deceased, Ramachandra Raut, had filed a complaint with the police against some of the accused for allegedly stealing pigeons. Angry over this action by the septuagenarian, the accused went to his house and beat him. On Friday morning, Raut had told Vasai police that two people stole his pet pigeons. Vasai police station’s Inspector Rajendra Kamble said taking cognizance of the complaint, the police served notices to the accused. To maintain peace in the locality, they were given warning under Section 149 CrPC, he added. But the accused didn’t like that Raut went to police. At around 7:30 PM, the accused gathered seven others, including women, and went to Raut’s house. They started yelling at him and warned him of dire consequences for going to the police. Raut’s son Bandhu, who is 25 years old, was also shouted at. When Raut intervened, the people started beating him. They rained kicks and blows on him and one allegedly strangled him. Raut was rushed to the Sir DM Petit Hospital, where he was declared brought dead. He sustained injuries on his head, neck, and back. A case was registered under IPC Sections 302 (murder), 452 (house-trespass after preparation for hurt), 143 (unlawful assembly), 147 (rioting), 323 (voluntarily causing hurt), 504 (intentional insult with intent to provoke breach of the peace) and 506 (criminal intimidation). The nine who were arrested are Mayur Sachin Raut, Sachin Gharat, Avinash Tandel, Abhishek Raju Kolekar, Sureka Raju Kolekar, Sneha Sachin Gharat, Ranjana Chandrakant Tandel, Raju Tukaram Kolekar, and Reena Sachin Gharat. They were remanded in police custody by a Vasai court on Saturday.